Commander One is free dual-panel file manager for Mac OS X developed entirely on Swift, which allows you to manage your files in the best possible way.You will get the dual-panel interface for convenient moving of your files from one place to another; multi-tab browsing for the most efficient workflow; advanced search for locating files quickly by name or content (plus Spotlight search); file operations queueing, handy hotkeys for any action, archives support with compressing, extracting and full access; preview multiple types of files incl. binary and hex. 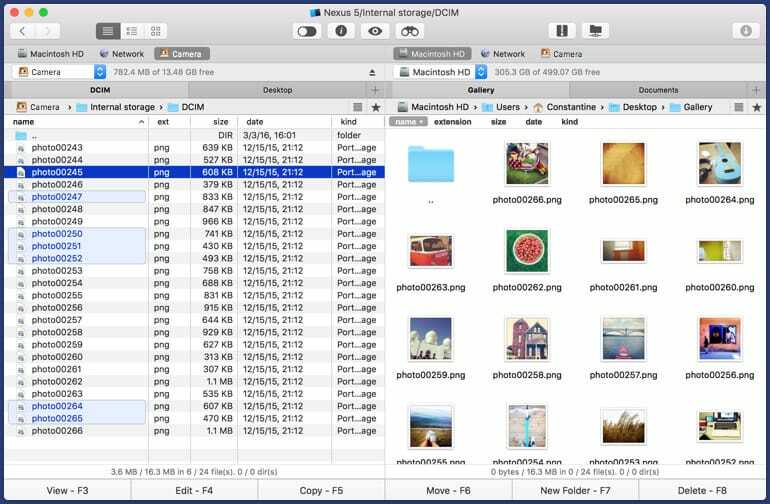 Commander One is also capable of connecting to (S)FTP and WebDAV servers as well as mounting Google Drive, Dropbox, OneDrive and Amazon S3 accounts to your Mac as disks.With Commander One you see all hidden files on your Mac, work with local and network drives. Program also offers you the Brief Mode, so you could see and manage multiple files and folders at once. For your utter convenience, Commander One has a built-in Terminal emulator with all needed options, but without jumping between the apps. You can also use various color themes created by us to personalize your Commander One and tune your very own for unique appearance. 4Neurons Eraser allows you to delete the files from your computer the way, it won't be possible to recover them using any file recovering software or even by giving your harddrive to the professional company that specialize in data recovering.